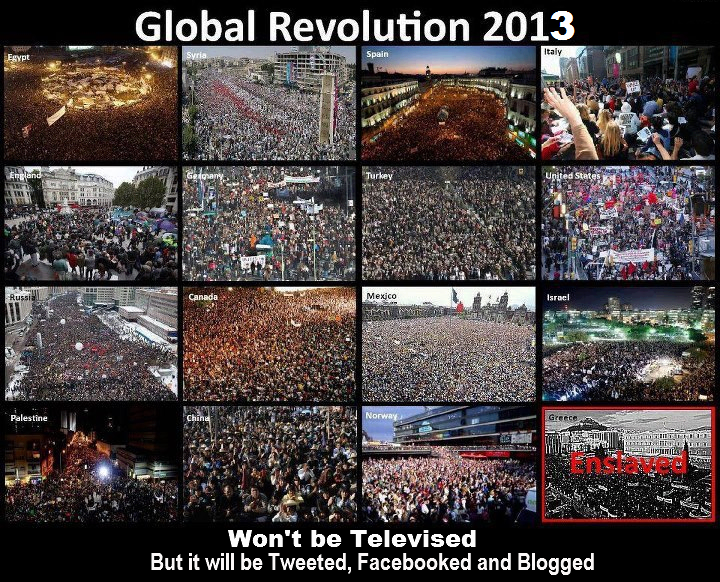 Just in case you missed it, our world is in transition and its visible in the world wide protests happening against the corrupt power structures we call our 'Governments'. The whole system was quite cleverly designed to keep the masses enslaved under a limiting paradigm of fear and separation. However, with more people awakening to their true spiritual nature and recognizing the deep connection we have with all that is, the inner revolution has begun in the hearts and minds of billions of awakened souls all over the world, which is now beginning to show in our external world. Some of us erroneously believe that somehow, we are not affected by this mounting chaos in our world and would like to continue with the illusions of our business as usual. But the truth, is emerging ... and it is revealing many hidden secrets to humanity. Here is some media footage of the global protests that have been happening the last couple of years and gaining momentum real quickly, bringing down corrupt bankers and governments, Iceland being an excellent example of how it is done when we all come together and take our power back. Egypt too has shown the world the collective power of the people in achieving common goals which benefit us all, and not just a chosen few ! A powerful video of a US Marine, Sgt. Shamar Thomas yelling at 30 odd Cops about how wrong it is for them to assault harmless, unarmed protesters. Another brilliant example of how it is done ... Egypt Protests June 2013 ... backed by their Army ! WOW !!! ... Gil Scott-Heron subsequently explained, before he passed, that what he meant by the phrase "The Revolution Will Not Be Televised" was this. The outward activities are merely the effects of a revolution. The revolution occurs inside, in the mind and the heart. This awakening, this revolution in consciousness, cannot be captured on any media. Only the aftereffects. 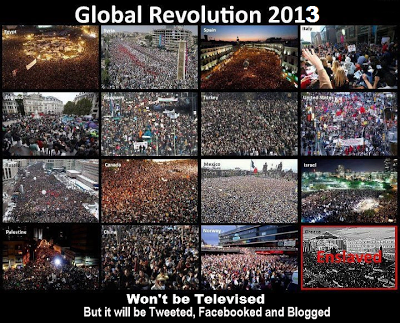 Thus the revolution will not be televised !